If you are checking for properties for rent in Bahrain, you have definitely found your way to one of the most professional listing websites in the kingdom that gathers a huge assortment of properties carefully picked to meet the divergent demand of all customers. 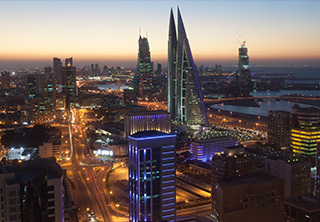 Bahrain’s decision of opening the door for foreign real estate investments encouraged a lot of real estate developers - foreign and national companies - to launch new projects in the kingdom’s freehold areas. New mixed use communities and resorts were introduced like Amwaj Island, Durrat Al Bahrain, and Riffa Views. Inaugurating such large scale projects boosted the number of displayed properties in the kingdom. Moreover, the spurred real estate market reactivated the whole economy, job creation rate hiked which increased the demand on residential units in different areas around the kingdom. Areas like Hoora, Adliya, Um Al Hassam, Busaiteen, and Salmaniya are very popular for Bahrain expats looking for convenient residence for them and their families in the heart of the city. The majority of available properties for rent in these areas is low rise and mid rise apartment buildings. Inhabitants of such locations will enjoy the availability of several retail centers in addition to a wide set of amenities including schools, clinics, health centers, shops, restaurants, cafes, mosques, and many other. Moreover, these districts are near the top business destinations where most professionals head daily for work like Bahrain Bay and Shaikh Khalifa bin Salman Port. Between commercial and residential properties, the kingdom witnesses a vigorous real estate development activity that is boosting its supply of ready properties. The retail market is getting new malls and centers, the total number of office spaces in Bahrain has seen a significant boost, not to mention the expanding residential market. Every day there are new apartments and villas entering the market to add to the existing displayed properties for rent in the Kingdom of Bahrain. The popular districts for finding high-end properties are Juffair, Seef, Reef Island, Amwaj Island, and Durrat Al Bahrain. These locations abound with different types and sorts of properties that attract single residents, couples, and families looking for upscale lifestyle in the center of the city. Rental prices featured in these localities are pretty higher than other districts around Bahrain since they boast higher living standards and witness bigger demand. Weetas features a big array of properties for rent in Bahrain assorted by well versed real estate consultants who know exactly what people are looking for. The displayed properties vary in all size, quality, type, and location to meet all needs. To make it easier, the top bar on all weetas listing pages has certain options to choose, check the specialities you aim to find in the property you are looking for like price, size, location, and other. This will limit your search results and make them more fitting to your demands. If you find a suitable property, don’t hesitate to call our number any time around the day and one of our sales team will offer all needed help.